An appeal after an initial application is denied. The SSA will review your claim and reconsider its denial of your benefits. Most claims are denied and must move on to the second stage of appealing. A hearing is performed in front of a judge where the judge will hear the whole story and even testimonies in favor of the case over your abilities and condition. If denied, claims go to stage three. Another hearing, but this time it is in front of a higher level judge from the appeals council. If denied, claims go to stage four. This is the final stage of appeal, so a case is over and benefits will not be awarded if denied. However, a new claim can be made. 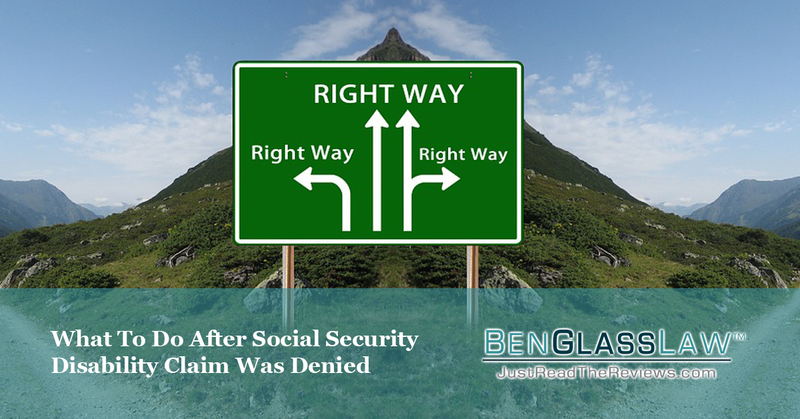 Contact a Social Security Disability attorney if your claim was denied. They will help you through the appeals process by gathering important documents, collecting a doctor’s opinion on your condition, reviewing your file to see what is lacking, and prepare you for hearings if needed. Please call (703) 584-7277 for expert advice if you were denied disability benefits.